Happened upon “Edward Scissorhands” on cable last night. This movie was one of my favorites when I was younger. Roth just mumbled under his breath that he never understood the movie. Relunctantly he let me watch. I caught him smirking at the funny parts. Watching the movie again made me really sad. It’s quite the tale of an odd-looking outsider trying to fit in to a cookie-cutter world. Of course, the concept of someone having scissors for hands is obsurd, but it made me think of Aron Ralston, the hiker whose hand was lodged underneath a boulder for five days. Ultimately, he used a leatherman-like tool to cut his own hand off to free himself from impending death (I’ve often wondered if I would be able to amputate one of my own limbs to save my life — not sure I could handle going through bone). 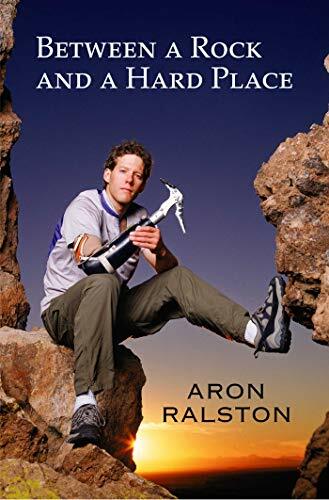 He has now written book about the experience, aptly titled “Between a Rock and Hard Place.” I saw a NBC news special about him, how he is again hiking and climbing with the help of a prosthetic hand. One of the prosthetic attachments is a scary-looking pick axe. This tool helps him climb icy mountains. It’s crazy, really. But he has adapted with the help of metal and hydraulics, much like the character of Edward Scirssorhands. OK … maybe these stories are completely unrelated. Regardless, I was sad. Watching this movie also inspired a new nickname for Sierra … Sierra Scissorpaws. She has the sharpest claws. We have taken her to have them trimmed at Petco, but she usually squirms so much that the groomer just gives up. Roth says her claws are like eagle talons. Often times, she’ll beg for food by pawing at our legs with her raptor-like claws (see above photo of her claws). We both have scars from our sweet little beagle! “Edward Scissorhands” also made me think about another Tim Burton movie that I really liked — “Big Fish.” A former co-worker of mine said she thought it was the worst movie she had ever seen. I was kind of hurt by that comment. How could an imaginative movie with true heart be bad? I cried my eyes out the last 15 minutes of the film. I guess there is no accounting for taste. This was a girl who bleached the crap out of her hair and wore white stiletto heels to work and constantly talked about her birth-control patch. Two days until I’m 25 — woo-hoo! I casually watched (it was on in the background) the new ABC series “life as we know it” tonight. And then I was mysteriously transported back a decade to 1994 when I watched the new ABC series “My So-Called Life.” The two shows are so similar I kept hoping that somehow the new show would feature Jordan Catalano in a cameo. No such luck. The main difference between “So-Called” and “know it” is that the latter is from a male point-of-view and the former a female point-of-view. The new show features a couple quasi-dorky male teens in their quest to get laid. The old show featured quasi-dorky Angela in her quest to lay Jordan Catalano (but then she got scared when he took her to an abandoned house to carry out the deed, and then Jordan suggested that perhaps Angela was “abnormal,” and then she obsessed about him some more). I wonder if this new series will ultimately face an untimely demise like its predecessor. Time will tell. I’m not going to watch it die. I am proud to introduce my little pride and joy — Sierra! 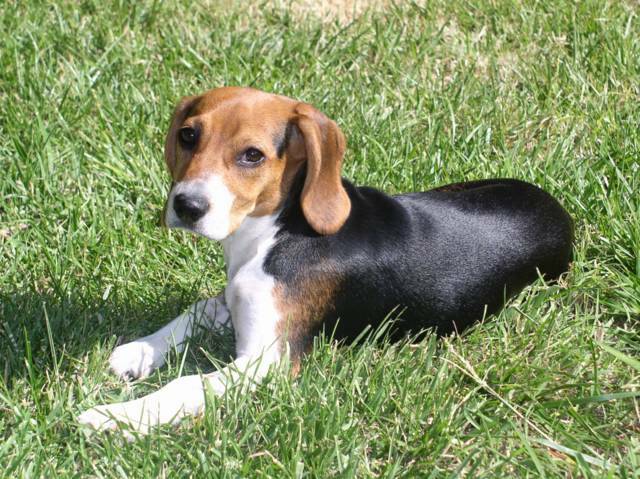 Isn’t she a beautiful beagle? I know that I am biased, but she is like a child to me! And who doesn’t think their kids are the cutest? Sierra is a high-tech pup. She’s been a member of the Dogster community for several months, and she even has her own blog-like diary on the site. Check it out! Having a dog has totally consumed my life. I thoroughly enjoy the responsibility of taking care of Sierra. Yes, she is ultra spoiled, and I will continue to treat her like a little princess. I know that in return she will worship me forever. Introducing Sierra … quite the pampered pooch!